Chipster - Carl Stahl - løftegrej, stålwire, kædesæt, rundsling m.m. At Carl Stahl A/S, we developed Chipster, which is a unique product for identification of lifting equipment, heavy machines and cranes, etc. By combining the benefits of a cable tie and the RFID technology, we created an RFID tag, which do not require power supply, thus ensuring high flexibility along with a simple and quick installation. By using an RFID reader, all information can be retrieved regardless of how dirty the equipment is. 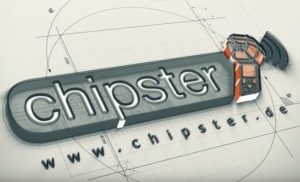 Thus, Chipster is ideal to any type of industry and construction site.